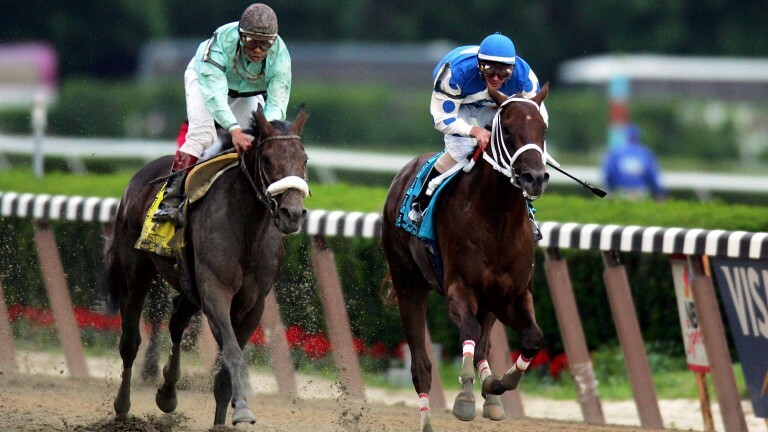 Smarty Jones, the winner of the Kentucky Derby and Preakness Stakes in 2004, is to shuttle to Uruguay for the southern hemisphere breeding season in 2017 and 2018 in a deal brokered by Pablo Nunez and Sullivan Bloodstock. He will shuttle to Raul Cazalas's Haras La Concordia Farm from his Kentucky base of Calumet Farm, and there is an option of Smarty Jones shuttling to the Uruguayan farm for a third year. It is not the first time Smarty Jones has shuttled to the country, having taking up breeding duties there in 2011, 2012 and 2014. Dan Rosenberg, representing Smarty Jones' majority owner Pat Champan, speaking to the Blood-Horse said: "La Concordia contacted us about leasing the horse because of the success he's had there, and Pat wants to give the horse every opportunity to succeed. "I have had a fair amount of experience with shuttling and most horses handle it quite well. Smarty Jones' fertility is good, his libido is good, and his temperament is good." The 16-year-old son of Elusive Quality has been represented by a number of winners since retiring to stud including the black-type performers in Uruguay Bamba Y Bamba, Isabel La Catolica and Patriota Jones. He is also the sire of Singapore Gold Cup and Singapore Derby winner Better Life.